Everything became nearness and all the nearness turned to stone. Hemphill Fine Arts in Washington DC is hosting an exhibition “Everything Become Nearness and All Nearness Turned to Stone” that will be on view through January 19, 2017. 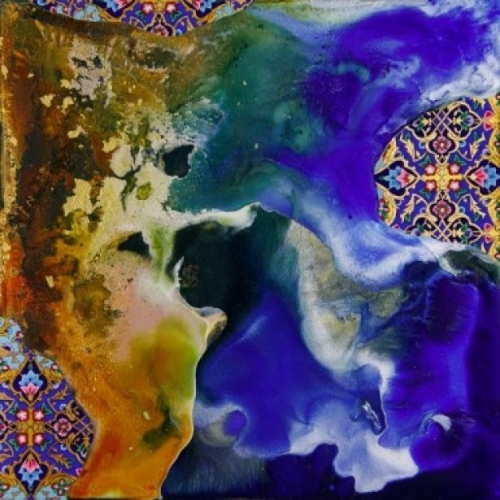 The exhibition marks the debut of Iranian artist Hedieh Javanshir Ilchi at the gallery, with her works which majorly reflect an interest in the fusion of visual conventions of Western abstraction and Persian Art, evoking allegories of intrusion and invasion, that moves beyond the personal and take references of historical and contemporary socio-political conflicts. Ilchi’s imagery contains the power to incite the alchemy of the mind, through her surgically applied brush strokes, which are exquisite in execution and commanding in form. Her Iranian roots inform these patterns, called ‘Tazhib,’ or the art of illumination, which were being used to adorn the margins of historical books.